B10NIX is an innovative start-up founded in Milan – Italy. Our focus is on the development of software and hardware systems for human-computer interaction, using novel methods based on vision, biometric signals and artificial intelligence. A software designed to help impaired people with everyday use of computers. 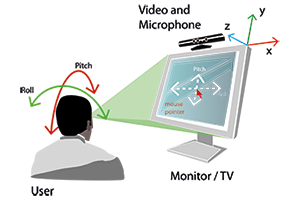 Using a Microsoft Kinect for Windows™ as an input device, users can interact with a normal pc, through simple head movements, voice commands and eye-blinks. WISE is a wearable device integrated inside sport garments. 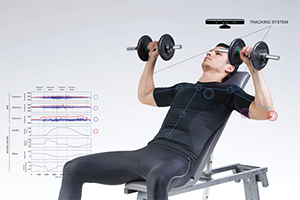 Designed to monitor in real-time muscular strains during sport practice or rehabilitation routine, it supplies the user all the important info regarding the quality of his exercise. 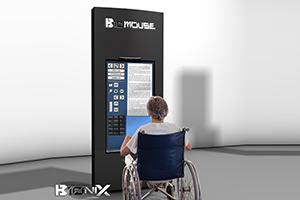 Interactive KIOSK with integrated B10Mouse system, for people with upper limb mobility deficit. We project and develop new kind of Human-Computer Interaction modalities and interfaces. The new frontier of HCI is the understanding and the use of the information from "inside". We know that the synergy between sensors is the key for a new level of interaction. All of our projects involving ergonomics and style, are designed by Italian designers. Cambria Ltd. is an independent management company based in London. Founded in 1990 by Italian investors along with institutional important English investors. 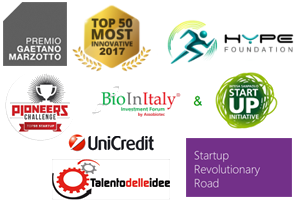 Finlombarda (Lombardy Region holding company) is financing our project regarding the application of biometric signals in sport training and physiotherapy tasks. B10NIX is taking part to Kinect for Windows v2 Developer Preview Program. B10NIX is official developer of Samsung wearable devices.